President Cyril Ramaphosa is clearly not in charge, is simply the face of the African National Congress’s election campaign, and his promise of a new dawn is nothing but empty rhetoric intended to fool voters ahead of the election, Democratic Alliance leader Mmusi Maimane said on Sunday. Speaking at a DA 2019 election event in uMlazi in Durban, Maimane said this weekend South Africa was plunged into darkness as Eskom was forced to implement stage four load shedding. “This on a weekend when electricity demand is relatively low. Across the country businesses shut their doors, traffic lights went out, and homes went dark in what has become a stark daily reminder of the ANC’s corruption and mismanagement. The massive threat this poses to our economy and the stability of our country cannot be overstated,” he said. If the ANC were a functioning government committed to serve the interests of South Africa, then anyone who played a role in crippling the country’s energy infrastructure and resources would have immediately been fired, charged, and prosecuted. The ANC list had made it clear that all the talk of reform under Ramaphosa was completely meaningless. “If he cannot even keep the worst offenders in the looting of our country and the destruction of our economy out of his cabinet, then there can be no turnaround under the ANC. President Ramaphosa is clearly not in charge. He is simply the face of the ANC’s campaign, and his promise of a new dawn is nothing but empty rhetoric intended to fool voters ahead of the election,” Maimane said. “The DA’s lists, on the other hand, represent a party committed to serving the people of South Africa. Unlike parties who deploy their cadres to do the bidding of factions and to serve their party’s interests, the DA strives to find candidates who are capable and who are committed to the cause of service to the people. The DA is a national government-in-waiting, and it is therefore crucial that we use our public representative structures to build the government South Africa deserves. “Our national and provincial lists also reflect a party that speaks for and fights for all South Africans, and not only a particular race, religion, or culture. It is because of this that the DA stands at the centre of a new political realignment, as people converge around our values and our mission to build a united country that is shared by all,” Maimane said. He welcomed two senior members from the National Freedom Party to the DA. Both Maliyakhe Lymon Shelembe and Mandlenkosi Sicelo Mabika represented the NFP in the National Assembly, and both would now appear on the DA’s national list ahead of the May 8 elections. “Compare the ANC’s list with the DA’s list and you will see the clearest possible difference between the two parties. One is a who’s who of thieves, tender fraudsters, and captured cadres, while the other is a team of capable men and women committed to serve their country. 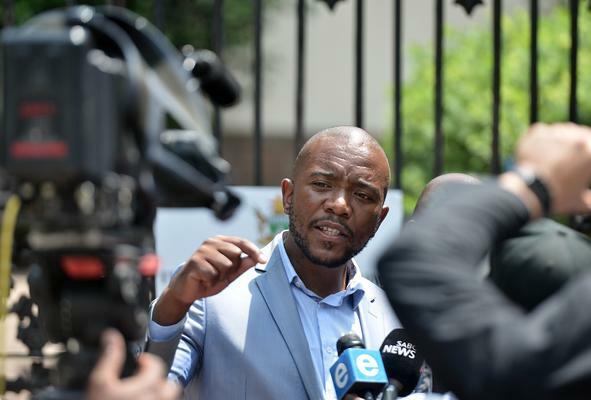 One represents the very narrow interests of a wealthy ruling clique, while the other represents each and every man, woman, and child in South Africa, in their beautiful diversity,” Maimane said.